Maruti Suzuki is one of the top automobile manufacturers in India. The Alto 800 is a hatchback from Maruti Suzuki’s production line. The car gives high performance via its thermal gasoline engine and has inbuilt safety features. 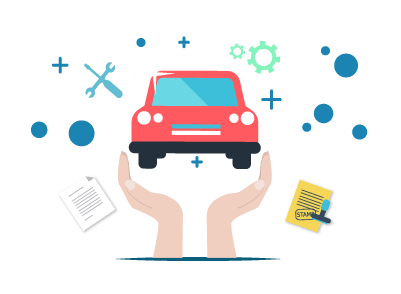 Why is it Important to Insure Your Maruti Suzuki Alto 800? As per the Motor Vehicles Act, it is mandatory for every car plying on the roads to be insured with at least a third-party liability cover. Having a car insurance also protects you from third-party as well as own damage liabilities that you may incur as a result of a mishap. Comprehensive car insurance provides third-party liability coverage and own damage coverage at the time of the mishap. Third-party Liability cover offers third-party liability coverage alone. You can visit third-party insurance website or insurer’s official website to purchase or renew car insurance. You can visit the insurer’s nearest branch office or meet with an insurance agent to purchase or renew car insurance. Inform the insurer as soon as the mishap happens and register your claim request. An authorised surveyor will be sent to inspect your vehicle and assess the total loss/damage. You will have to submit the necessary documents, both copies and originals to the surveyor or the insurer for verification. Post document submission, take your car to the nearest garage and get it fixed. In case of a cashless claim, the insurer will pay the garage directly for the repairs. In case of a reimbursement claim, you will have to pay the garage for the repairs and submit the invoice/payment receipt to the insurer to get the amount you spent on repairs reimbursed. Are the No Claim Bonuses I earned in another country acceptable in India? The No Claim Bonuses you have earned outside of India is acceptable provided you purchase an insurance policy in India within 3 years of your overseas policy expiry. A voluntary deductible is a part of the insurance amount that you opt to pay at the time of claim settlement. IDV stands for Insured Declared Value and is the maximum market value of your car with respect to its age. NCB is a discount on insurance premium awarded by the insurer to the policyholder for every claim-free year. You can accumulate the NCBs for up to 5 years. What should I do after I add an LPG/CNG kit in my car? You have to inform the insurer and the RTO after you install an LPG/CNG kit in your car as it is a premium bearing endorsement and has to be added to your insurance policy.